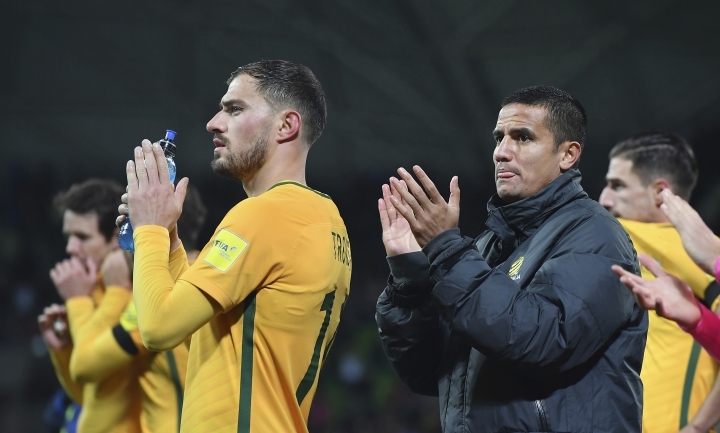 SYDNEY — Football Federation Australia said Thursday the World Cup qualifying second-leg playoff between Australia and Syria on Oct. 10 will be played at Sydney's Olympic stadium. The first leg of the Asia Confederation decider will take place on Oct. 5, probably in Malaysia where Syria plays home games which can't be held in its war-torn homeland. The winner of the two-leg playoff will meet the fourth-place CONCACAF team in home-and-away matches in November for a spot at the World Cup in Russia in 2018. Australia and Syria finished in third place in their respective groups in Asian qualifying. Japan, Saudi Arabia, Iran and South Korea were the direct qualifiers after finishing in the top two in each group.